Although fewer people own cars in New York City than in other major metropolitan areas, anyone who has walked down the streets of Manhattan can attest that cars are a very present factor in our everyday life. Unfortunately, not every driver behind the wheel of a car behaves responsibly, and as a result dangerous drivers may create an unsafe environment for pedestrians, bicyclists, and other motorists. In the event of an accident, the driver responsible may be liable for the injuries and related expenses. If you or a loved one has been involved in a car crash and suffered injuries as a result, immediately contact the New York City car accident lawyers of The Orlow Firm, to learn more about your legal options. Auto accidents can be a devastating event for drivers and passengers alike, and may result in serious property damage and personal injury. Results from a 2005 survey show that only 18% of car accidents involved automobiles striking non-motorized objects (including stationary buildings and structures) while 82% involved collisions between two vehicles on the roadway. While most drivers understand the importance of safety and proper driving techniques, accidents can happen at any time and can be caused by a wide variety of reasons. Auto accidents can have long-lasting effects on a person’s health, finances, and overall livelihood. The New York City car accident lawyers of The Orlow Firm would like to provide the following information about car accidents to help you better understand personal injury cases that may arise from accidents, collisions, and other events on the road. Persons who have been in a serious accident should make sure to seek medical attention immediately. If you have been injured as a result of another person’s negligence or recklessness behind the wheel, you may be able to pursue a personal injury claim. If you feel you may be eligible for compensation for injuries suffered in a car accident, it is important to have experienced New York City car accident lawyers on your side. Such injuries may be very difficult to deal with and may require significant medical treatment and rehabilitation. Injured individuals may find themselves unable to work or perform normal life functions during recovery and in some cases may be forced to live with long-term disabilities as a result of the crash. In the event of serious injuries following a collision, injured persons may wish to pursue a personal injury claim against the driver responsible for the accident. 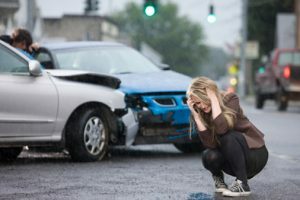 If you or a loved one has been injured in a motor vehicle crash, contact the New York City car accident lawyers of The Orlow Firm We can evaluate your case to determine both who is responsible for the injury and what compensation you may be owed.